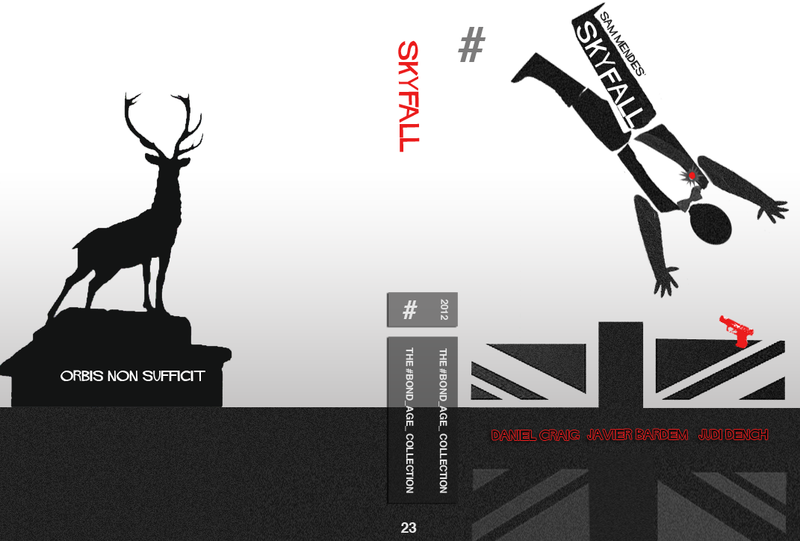 For the Skyfall #Bond_age_ Collection DVD Cover, something about that movie screamed Saul Bass to me. So I nabbed the Anatomy of a Murder body, misplaced some limbs and added some “keeping the English end up” (or rather down) touches. I chose a more classic Bond bowtie rather than Craigers’ Tom Ford suit and tie combo. But I may revise that. I also took liberties with the plaque on the estate marker. I preferred the Latin Bond family motto rather than repeating the name “Skyfall” elsewhere.